2 time Jr. Middleweight World Champion Demetrius “Boo Boo” Andrade weighed in for his first ever Middleweight bout at a ready 160 lbs, while opponent Alantez “Slyaza” Fox came in at a 159.5 lbs. 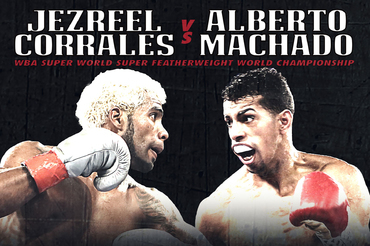 The 12-round Middleweight co-feature battle will take place from Turning Stone Resort and Casino in Verona, New York on tomorrow’s HBO “Boxing After Dark” starting at 10:05 p.m. ET/PT featuring main event Jezereel Corrales vs. Alberto Machado in a 12 round WBA Jr. Lightweight title bout. The Andrade-Fox bout is being co-promoted by Joe Deguardia’s Star Boxing®, Banner Promotions, A Team Promotions in association with Dibella Entertainment.